A true oasis, Spirit Ridge Vineyard Resort & Spa places you in the heart of south Okanagan's rich cultural landscape and wine county in Osoyoos, British Columbia, an area know as 'Napa of the North'. Surrounded by dramatic sun-drenched landscapes, miles of vineyards and views to Lake Osoyoos's warm, blue waters, Spirit Ridge's Osoyoos vacation rentals are within reach of desert golf, luxurious spa experiences and unique cultural opportunities at the cultural centre. Vaseux Lakefront Resort is a four unit townhouse resort located at the south end of Vaseux Lake in the sunny Okanagan Valley of British Columbia, Canada. Surrounded by lush vineyards our resort offers a private beach just steps from your door. Hiking and cycling on the Kettle Valley Trail system is just a few minutes from the Resort. Vaseux Lakefront Resort caters to families and mature adult groups. 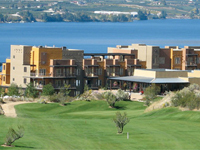 OUR RESORT is located in the South Okanagan just off Highway 97 between Okanagan Falls and Oliver.